Welcome to LSC Construction Services. 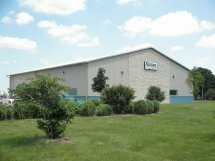 LSC Construction Services, of Valparaiso, Indiana, specializes in the building or remodeling of commercial properties. No job is too large or too small for our expert team of professionals. We excel in unique projects that require special consideration. We have available construction sites or we can help you to find one that will suit your needs. The design and build process provides clear communication and keeps the project moving in a timely fashion. We also assist in interior and exterior commercial remodeling needs. In these times of ever increasing need for energy conservation, we are proud to be a Certified Green Builder. Our attention to detail and knowledge of community requirements help to make us your first choice for all of your commercial needs. We are proud to note that some of our past commercial projects include the Valparaiso, Kokomo and Plainfield, Indiana Harley Davidson stores, Southpoint Development of Valparaiso, Schepel Cadillac, Schepel Hummer and Schepel GMC of Merrillville, Indiana, and Art Hill Mazda of Merrillville, Indiana.